Sinclair Moving and Storage: Your Center City Philly Movers. Since 1923, Sinclair Moving & Storage has been helping families and businesses. As a premier Mayflower agent, Sinclair holds ourselves to a higher standard. We train our staff to be the best and safest Philadelphia movers. We’ve helped generations of Philly businesses and residents with their relocation and storage needs. As a family-run business, we take professionalism very seriously. All of our employees are background checked and drug tested. We ensure that our drivers are always in uniform, on time, and prepared to work. Our drivers are required to be involved in continuing training, safety courses, and certifications. Sinclair takes care of your belongings as if they were our own. 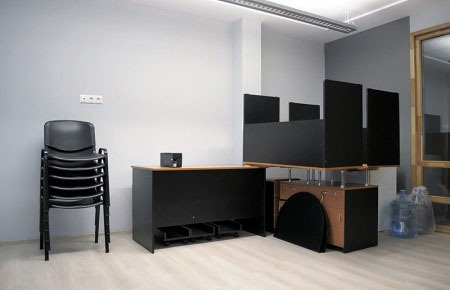 Our professionals are trained by us to pack your office or home with utmost care. You’ll see that our customer service is second to none. Our Sales Staff, Office Personnel, and Management Team respond to you promptly and courteously. We are honored to have been awarded the New Jersey Warehousemen and Movers Association’s “Service Award for Excellence,” due to the dedication of our staff to excellent service. Sinclair Moving and Storage company offers competitive rates for both personal and professional customers. Have a difficult job, like moving a piano or delicate office equipment? Our team of Philadelphia movers can handle it. Give us a call or fill out our contact form to speak with one of our helpful staff today! Contact your Center City Movers at 800-282-7242 Today! Call Sinclair Moving Now at 800-282-7242! This was first home to the Lenape (Delaware) Indians. Europeans arrived here in the early 1600s, and by the middle of that century, William Penn was granted a charter by the King of England to build a colony. Penn, a Quaker, had no desire to unfairly oust the Lenape, purchased the land from them. Then, he developed the city using a grid plan, with the desire to separate homes and businesses. He created five public parks which remain today, as Penn Square, Franklin Square, Washington Square, Rittenhouse Square, and Login Circle (formerly a Square). By the mid-1700s, this was a thriving port and famous place. Benjamin Franklin was from here, and he improved the city services with the addition of a library, fire brigade, and hospitals. Philadelphia is known as the City of Independence. It hosted the Congress which signed the United States Declaration of Independence and is the site of the Liberty Bell. The city sits on the fall line between the Atlantic Coastal Plain of South Jersey and the Piedmont. City Hall was the tallest building in the city (at 548 feet) since, by decree, no structure was permitted to be taller. That changed in 1987 when the One Liberty Place building was completed. The climate here is called Temperate Maritime, with hot and muggy summers, and moderately cold winters, generally with snow. It is located at approximately the same latitude as Madrid, Spain. Today, the largest proportion of people living here are under the age of 35, with a median age of 33.5 years. The total population of the city is more than 1.5 million people, not including the surrounding metropolitan area. The top Fortune 1000 companies headquartered here are TV and Internet provider Comcast, food services firm Aramark, packaging company Crown Holdings, clothing retailer Urban Outfitters, and chemical company FMC. Museums are plentiful here, with something for everyone. They include the Franklin Institute, Museum of the American Revolution, and Phila. Museum of Art, to name three of the most famous. There are others too – be sure to visit! Sports teams here include the LII Super Bowl Champion Philadelphia Eagles, the Phillies, Sixers, and Flyers. Intercollegiate competitions include the Penn Relays and rowing on the Schuylkill River along Boathouse Row. Among the institutions of higher education located here, are University of Pennsylvania, Temple University, and Drexel University. There are five medical schools here, Drexel University College of Medicine, Sidney Kimmel Medical College of Thomas Jefferson University, Temple University School of Medicine, University of Penn Perelman School of Medicine, and Phila. College of Osteopathic Medicine. 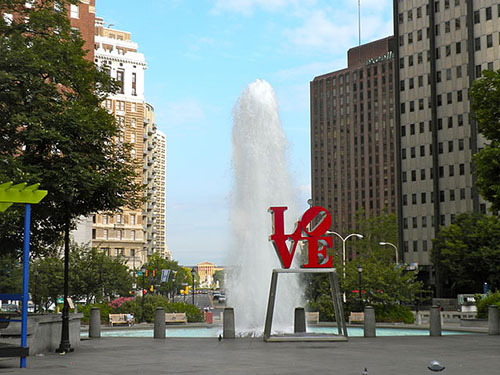 Neighborhoods here include Avenue of the Arts, Broad Street, Chinatown, Fitler Square, Franklin Square, Jewelers’ Row, Logan Square, Market East, Museum District, Old City, Penn’s Landing, Rittenhouse Square, Society Hill, South Street, and Washington Square West.